he inclosed him in a chest and cast him into the sea, thus plunging all heaven in grief and sadness. Isis, when she learned the melancholy news, refused all consolation, despoiled herself of her ornaments, cut off her tresses, robed herself in the habiliments of mourning, and wandered forth through the world. Disconsolate and sorrowful, she travelled into all countries seeking the mysterious chest which contained the body of the lost Osiris. In the meanwhile, the chest was drawn ashore at Byblos, and thrown into the center of a bush, which, having grown up into a beautiful tree, had entirely inclosed it. At length, however, the tree was cut down by a king of that country, and used by him in the construction of a new palace. But Isis finally learned the singular fate of the chest, and her persevering love was rewarded by the possession of it. The plant which thus indirectly led to the discovery of the mutilated body of Osiris was held sacred by the Egyptians. The whole story of the death of Osiris and the finding of his body is admitted to be an astronomical allegory of the death of the sun-god, slain by Typhon when the sun was in Scorpio, which was at that time on the autumnal equinox. Plutarch informs us that when the sun was in Scorpio, in the month of Athyr, the Egyptians inclosed the body of their god Osiris in an ark, or chest, and during this ceremony a great annual festival was celebrated. Three days after the priests had inclosed Osiris in the ark, they pretended to have found him again. The death of Osiris was lamented by them when the sun, in Scorpio, descended to the lower hemisphere; and, when he arose at the vernal equinox, then Osiris was said to be born anew. 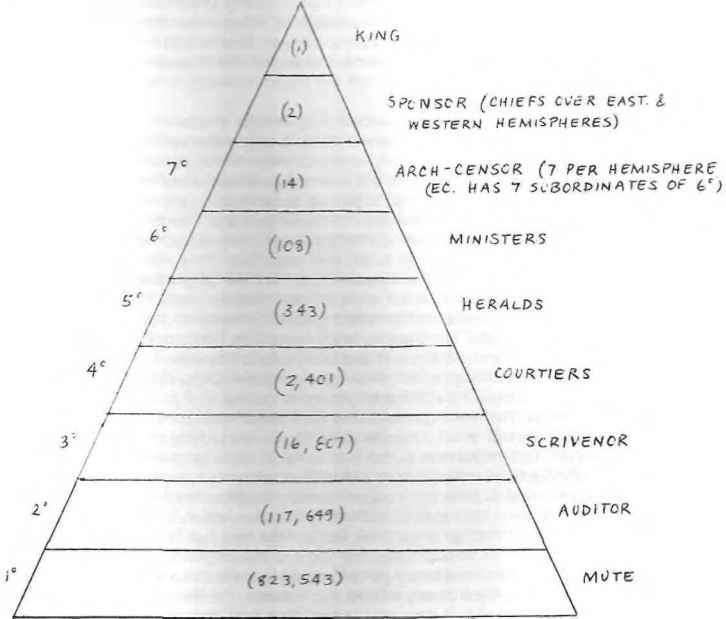 The use made of the ark, or sacred chest, in certain masonic degrees, derives no one of its particulars from anything narrated in the Bible; on the contrary, it bears so striking an analogy to the ark of the Egyptian Mysteries as to at once disclose the original from which it was copied. 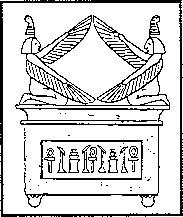 The masonic ark, like that of the Egyptian Mysteries, is lost or hidden, and after a difficult search at last found. The masonic ark, it is true, does not, like the Egyptian one, contain the body of the slain sun-god Osiris. It does however, contain something symbolically representing the true God, and also certain matters which, it is claimed, lead to a superior knowledge of him. The analogy is therefore perfect, and the astronomical allegory is strictly preserved. Q. What is the meaning of the emblem of the key?